As you are no doubt aware the Internet is a huge place and with billions of pages at your disposal it can sometimes be a little tricky keeping up to date with the information that you require.Luckily a technology known as RSS (Really Simple Syndication) makes it easy to have the latest news and features delivered directly to you rather than you having to go searching for them.By using an RSS reader or compatible browser you can easily get the latest headlines and articles from your favourite sites delivered to you automatically. Whilst not all websites provide RSS feeds the format is rapidly growing in popularity with many of the most popular news sites such as the BBC and Sky News supporting it.Potential uses for the technology have expanded from just offering users the headlines to now offering a whole range of subjects such as Job Openings, Auction items, MP3 releases, celeb information and so on. There are plenty of ways to begin using RSS.One is to use a compatible browser (such as Firefox or Internet Explorer 7) and to be honest this would probably be my preferred method.If your current browser doesn’t support RSS try downloading the latest version of FireFox (www.firefox.com) or Opera (www.opera.com) as these include RSS as standard.When you find a site that supports RSS you simply click on a subscribe button from then on you will be kept up to date with the latest developments. For those that don’t have a compatible browser and don’t fancy the idea of changing there are plenty of alternatives.One would be in add a third party piece of software or plug in to your current browser in order to make it compatible – a popular option for this would be the Google Toolbar which can be downloaded free of charge from toolbar.google.co.uk. 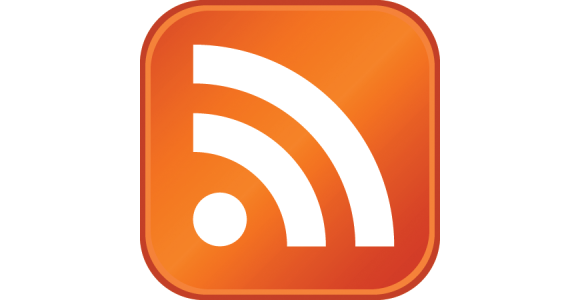 Alternatively there are plenty of dedicated RSS readers available for a range different Operating Systems.A quick search on the Internet will yield results for many different readers and you should possibly try using a couple of them to see which one you prefer but possibly a good place to start would be to visit www.rssreader.com to download a program which is both compact and best of all free of charge. Before RSS was created there were several similar formats available however none of these achieved widespread popularity or indeed still in common use today.Netscape initially developed the RSS format but then lost interest in it which essentially left the technology without an owner resulting in several different off-shoots being created over the coming years.This means that several different formats exist however most RSS readers should be compatible with all the existing variants. Another good feature of the RSS technology is that if you run your own website you can use an RSS feed to display the latest news from your favourite sources on your own site.This allows you to provide your visitors with relevant on topic news that is continuously updated which as well as potentially making your site more interesting also gives it the impression of being continuously updated which wouldn’t have been easily achieved prior to RSS. Whilst RSS will not interest everybody I would certainly recommend those with an interest in current events to look in to this flexible and free technology.